The Game Changer - Waterproof and dustproof for all day, all-weather rock crawling. This is the Hobbywing Quicrun Waterproof 1080 Brushed Crawling ESC. 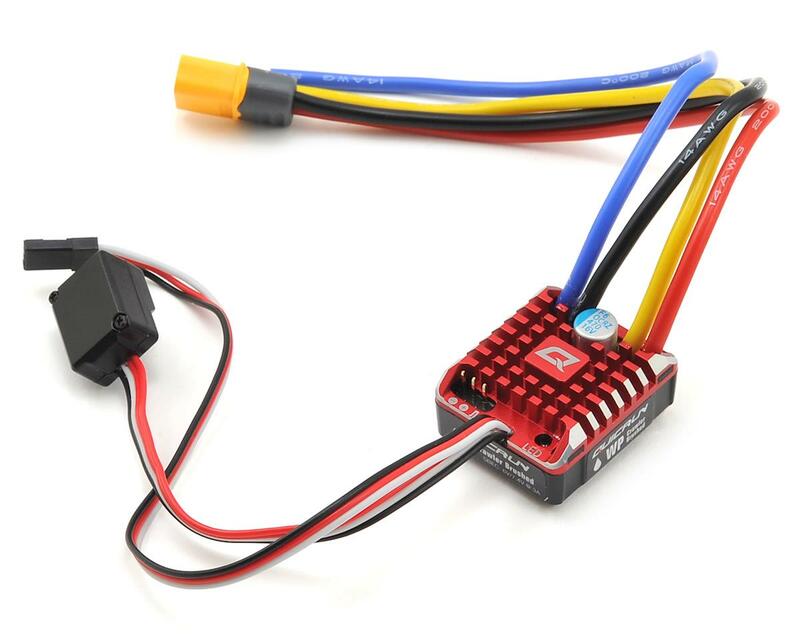 Is this the ultimate brushed crawler ESC? The Quicrun 1080 features include 9 level drag brake adjustability, 15 programmable areas, electronic switch, adjustable 6V/7.4V BEC, aluminum case, small size, 3S LiPo compatibility, plus dustproofing and waterproofing. Great ESC and exactly the kind of quality you would expect from hobbywing. I run 2 WP1080's in my comp rig and the esc is so smooth. With the added programmable features and included program card it's hard to beat the tune-ability of this esc. The BEC is amazing and easily handles my 1230sg @500oz. Dollar for dollar this is the best crawler esc on the market. Best bang for your buck! 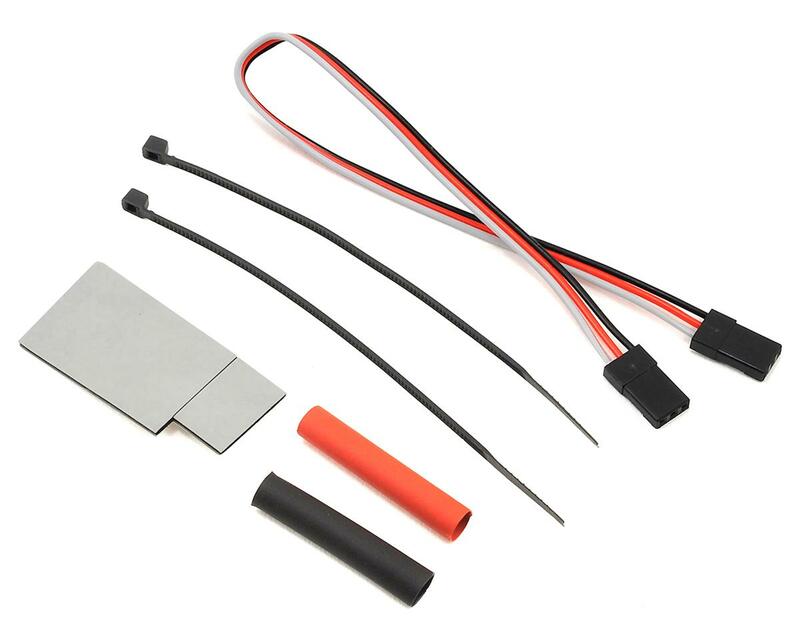 This high quality ESC is super smooth and easy to tune. I am very pleased with the performance of this unit and I am confident you will be too. UPDATE: I run these in two rigs now, an Ascender and MST CFX, and they have never let me down. This has easily become my GO-TO ESC for brushed applications. The only way up from here is brushless! I read the instructions and the set up was easy. Everything works great. I like it better than the Axial AE-5L even though I had to get a light controller. Have 2 of these and they are nice. Easy to program and use no issues with either and they come with just about everything you need. Hard to beat for the price! As others have said, this esc is smooooth! The included program card is nice and easy to make adjustments. If you`re looking to upgrade over your RTR ESC, this is a good low cost choice. Great ESC and exactly the kind of quality you would expect from hobbywing. A perfect combination of Quality - Price. 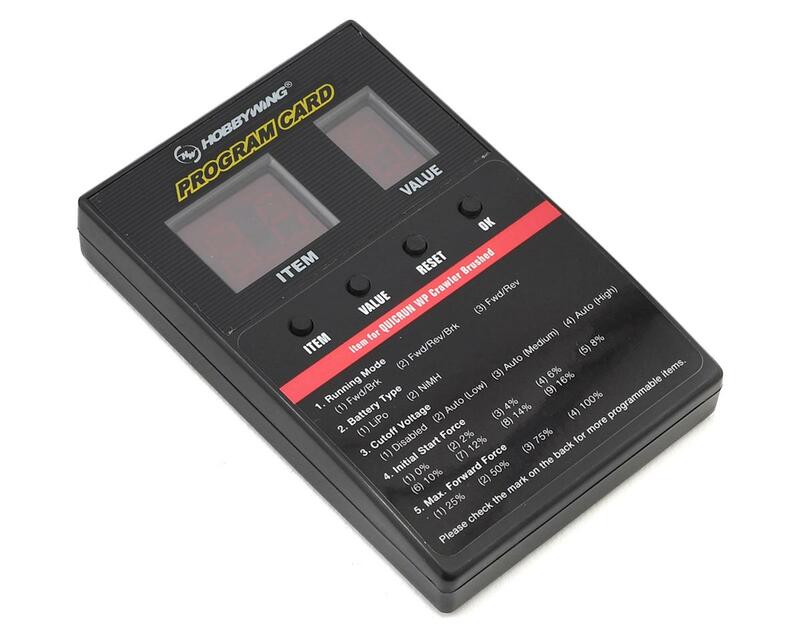 The 15 programming parameters allow you to have the maximum control and obtain the maximum level of performance of power, control and acceleration. As soon as I pulled the trigger on my transmitter.....smooth! Man this ESC is smooth. No jumpy low speed nonsense. I've only used this a couple days now, but the control feel is very good, the size is perfect, looks clean, is pretty quiet, and has a decent built in BEC for 40$ I'm buying another one for my other crawler too. I upped the PWM to 16k after the first run just to see if it could be even smoother and it is! Simply a great waterproof ESC for brushed motors. Programmability is excellent and easy to understand. Only took 2-3 runs to determine optimal settings for my crawling preferences. 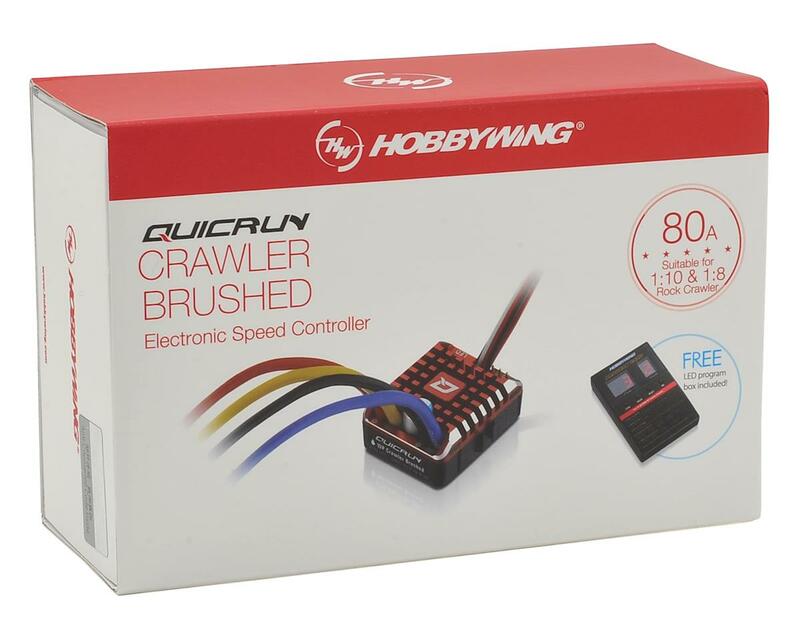 Best crawler esc for the money. When building my platforms I start with this as it gives me total adjustability all in one box for cheap and works great.